If you’re looking at a ski vacation this winter, you’re likely to find acceptable snow and facilities in most developed ski centers. So you obviously want to look at the cost and the overall destination experience at options available to you. TripAdvisor, the world’s largest travel site and our sister site, recently released its TripIndex Ski: Winter 2012/2013 in which it summarized “trip index” cost data for 20 of the country’s most important ski destinations. The index is a composite of the average costs of a hotel night within a five-mile radius of the destination, a daily ski rental, a daily lift ticket, a burger-and-fries meal, and one bottled or draft beer. And the results showed a huge spread in the daily cost, from $802 at Vail, Colorado, to $210 in Durango. The 10 least expensive destinations, from lowest up, are Durango, Colorado, at $210 per day; Bend, Oregon; Taos, New Mexico; Salt Lake City, Utah; North Conway, New Hampshire; Whitefish, Montana; Kingfield, Maine; Sun Valley, Idaho; Jackson Hole, Wyoming; to Banff, Alberta, at $323. 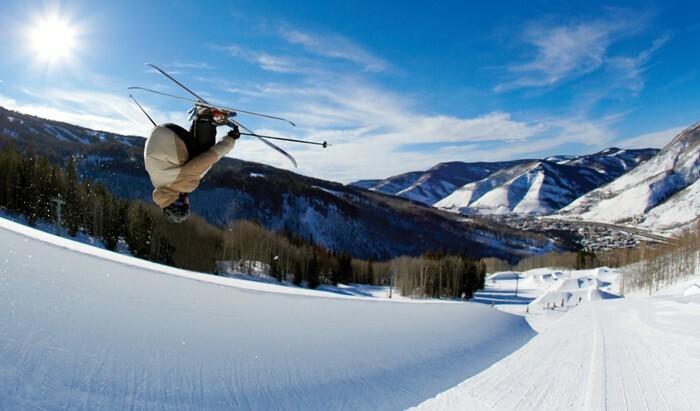 At the other end of the scale, the most expensive, from the top down, are Vail, at $802 per day; Aspen, Colorado; Park City, Utah; Telluride, Colorado; Crested Butte, Colorado; Breckenridge, Colorado; Mont Tremblant, Quebec; Whistler, BC; Big Sky, Montana; to Mammoth Lakes, California, at $423. A substantial price gap occurs between number three, Park City, at $677, and number four, Telluride, at $567; data on the inexpensive end show a relatively smooth progression from top to bottom. Hotel costs are by far the biggest factor in the cost differences among the various destinations, ranging from $645 at Vail to $96 at Durango. That spread of almost $550 dwarfs the relatively modest spreads for the other cost elements: $26 between the most expensive ski rental in Mont Tremblant, at $52, and the lowest, at $26, in Durango; $47 between the most expensive lift ticket of $110 in Aspen and $63 in North Conway; $5 between the most expensive burger meal of $14 at Mont Tremblant and $9 at North Conway; and between the most expensive beer, $5.42 at Mont Tremblant and $2.85 at Whitefish. On the whole, the difference in hotel prices appears to be primarily the result of whether the nearest hotel accommodations are limited to a concentrated resort area, as in Vail ($645) and Aspen ($548), or available in a conveniently located city, as in Bend ($94) and Durango ($96). Also, note that the hotel cost in Park City, at $540, is more than four times the cost at nearby Salt Lake City, at $121, for essentially the same ski areas. But the offset to the cost difference is that the destination experience in a concentrated ski resort like Vail, Aspen, or Park City is totally different from the destination ambience of cities such as Salt Lake City or Bend. Both the most and least expensive ski destinations are in the western mountains, sometimes close, such as Durango and Crested Butte. The range among eastern ski centers is smaller, from the least expensive at North Conway ($247) to the most at Mont Tremblant ($523). Clearly, you can spend more or less than the averages reported by TripAdvisor at any of the tested ski centers—or any others you might want to visit. And at any level, you’ll pay a lot less at a ski center where you can stay at a nearby city. Up market or down, the report’s data should help you assess the relative costs reasonably well. Check the TripIndex Ski: Winter 2012/2013 for full details. And when you’re looking to keep costs down, take a look at Liftopia for available deals on lift tickets just about anywhere you might want to ski, including winter-sports centers in the United States, Canada and Europe. Liftopia also posts substantial discounts at some locations. Also be sure to check OnTheSnow.com and SnoCountry.com, along with individual destination websites, for current information on snow conditions and lift operations.